Welcome to Knowledge House Preschool! Contact us to inquire about open spots, to schedule a visit to the school or to arrange a trial day for your child to attend to see if Knowledge House is a good fit for you and your child. At Knowledge House Preschool, we believe that young children are capable of doing so much more than we tend to expect of them or allow them to do. Our environment encourages children to learn how to make choices, think independently & act responsibly. As they come to believe in their own abilities to make decisions & attempt responsible activities, preschoolers become self-empowered, self-motivated, self-reliant & self-responsible both at school & at home. These are some of the most important qualities for children to learn at an early age that form attitudes and beliefs about themselves, others & the value of community that will carry them through elementary school and life. Knowledge House is a warm, nurturing and engaging learning environment where children learn academics through working with hands-on materials and activities. Our unique program encourages self-direction, independence and responsible freedom in young children within the context of school. Our multi-age classroom encourages a positive social environment where everyone experiences a feeling of cooperation and is an equal member of the preschool community. 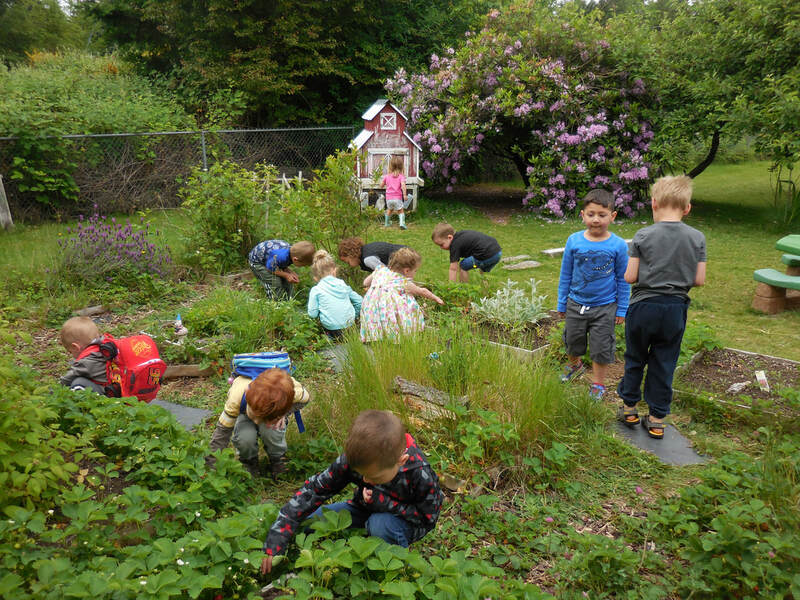 We use both Montessori and traditional curriculum and children can work and explore in the garden, go on nature walks around the 1/2 acre property, collect leaves and nuts, feed the chickens and gather eggs, rake leaves, garden, dig potatoes, peel vegetables, and gather weeds to feed to our rabbit. Our School Cat likes to hang out in the school and take naps in the library corner. Please feel free to contact us to schedule a tour to see if Knowledge House is a good fit for you and your child. ​practice what they are learning."